Maybe he means a "pas de deux" of books. He could at least put it in italics then. Not sure what you're trying to say. I've only read a couple of Lakdawala's books. 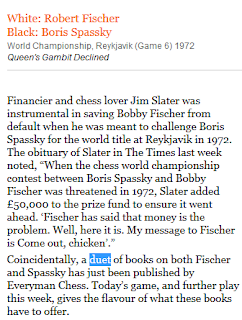 I think Kramnik and Capablanca Move by Move. OMG they are so brilliant! 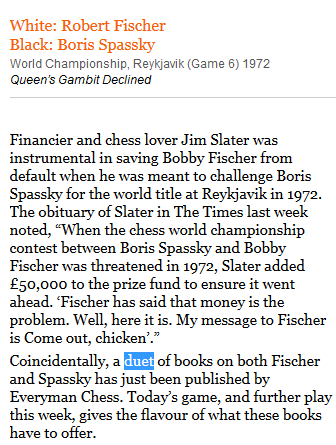 The most wonderful chess-related prose I've ever read. (Almost "the only wonderful".. who else? Donner? uh.. E Winter and you guys have your moments.) The guy has an extreme gift for metaphor. Anyway, I totally loved them. So how Ray gets accused of being Lakdawala when he misuses a word, I'm not sure. Envy? Obviously I'm missing a lot.